Nothing more flattering than being included in the prestigious Trinidad Carnival Diary’s list of 'Hotties Over 30' from Trinidad & Tobago Carnival 2012, especially since eight weeks prior I delivered 'My Christmas Surprise' which was my second child. Excited too, cause I was clocking mid-thirties when I made the list. I've included other pictures so you can see what 8 weeks after pregnancy looked like for me. LOL! ‘How to Bounce Back After Baby’ was drafted after Trinidad Carnival 2012 when I observed the tremendous scrutiny and pressure placed on women, particularly celebrities to bounce back after baby. Simultaneously while I stressed about being carnival ready, Beyonce made a splash with her first post-baby public appearance in this figure-hugging red dress one month after giving birth to Blue Ivy in January 2012. Some were reluctant to believe that any woman could naturally bounce back so quickly post baby. Yet, that was my reality at the time because I was naturally bouncing back. While the 'BEYONCEs' of this world can bounce back after baby probably due to trainers, personal chefs, nutritionists or even doctors who can nip tuck, many of us do it simply, naturally and gradually over time. Celebrities such as Jessica Simpson made headlines as a “weight loss disaster” and former Miss World 1994 and India's most beloved Bollywood star, Aishwarya Rai was accused of betraying India over the fact that she was in no hurry to lose the few extra pounds she gained during her pregnancy. One website posted a video, called 'Aishwarya Rai's shocking weight gain' which came accompanied by elephant trumpeting sound effects. I do not condone anyone having to live up to a fickle society's idea of what is suitable. Neither is it acceptable for any woman to be taunted, teased or pressured to lose her baby weight. While knowing my own personal torment of not (immediately) seeing a pre-baby weight and figure - postpartum, I can't fathom the scrutiny or pressures to bounce back due to someone else's time limits or expectations, other than my own. Firstly, let’s get visual! A baby is most likely to be delivered at less than 10 pounds. Think of 10 pounds. 10 pounds is a Thanksgiving Turkey! Me: What’s the rational gaining excessive weight while pregnant? Excuse: 'Cause it's supposedly the one time I'm allowed to pig out! Me: What exactly are you eating? Excuse: JUNK ... everything imaginable. It's ok, I'm eating for 2! 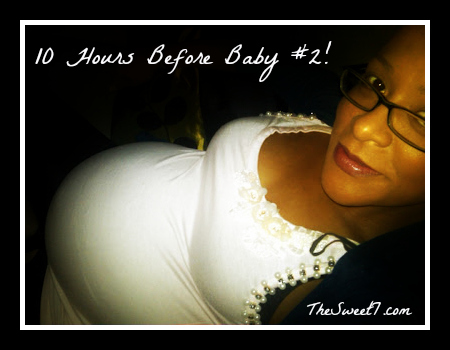 Me: Ever considered the stress to lose baby weight, especially if the plan is to return to a familiar pre-baby weight? Reality: OMG. I can't lose this baby weight fast enough! I GIVE UP! So yes, that was me playing devil's advocate but in all honesty, my question then becomes 'is the real reason for pregnancy weight gain about the baby or about you?' I found both my pregnancies to be a very emotional time for me. So is over eating while pregnant to mask some emotional issue? Giving up on yourself or the will to eat right, under the guise of pregnancy. So I've asked myself, "Is it unreasonable for people to expect women to bounce back fairly well after baby? Maybe not!" My son was born 8 weeks prior to carnival, on Christmas eve 2011. 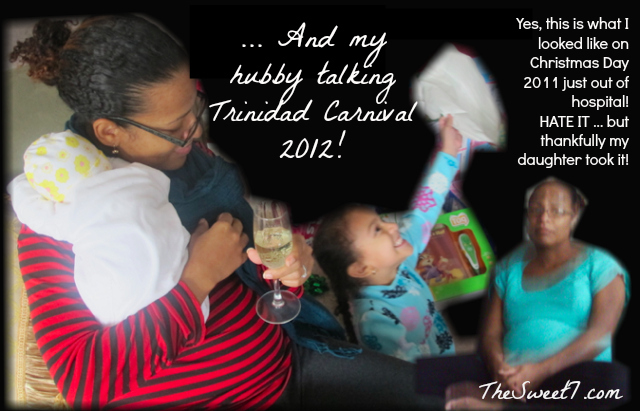 The very next day, it was Christmas Day with my parents in our living room, my husband was adamant that we could make it to Trinidad & Tobago Carnival 2012 dated February 20 to 21 and my parents would baby-sit. LOL! I've never kept my My Body / Diet Tips a secret but suddenly I was less than confident that my body would look decent enough to display for another Trinidad Carnival. This comment "I hear you about not being carnival ready ... but, we have 7 weeks to go. Focus... you can do it!" from Sweet 7 fan DeBorahdeb531 slapped me out of my self-pity. So I owe her a SPECIAL THANKS! Two weeks after giving birth, I was reluctant to start exercising but with a fast approaching 6 week time restraint, I decided to exercise without a post-baby follow up visit to my ob/gyn because I (and my body) felt were intact to go ahead. I used the following blog postings to psyche myself out by sharing Winsor Pilates, one of my favorite workouts and by the end of January, I picked up the pace with Flirty Girl Fitness LIVE. Early February 2012, I offered ten Sweet 7 fans the opportunity to each receive a free one-month pass because already I was shedding the baby weight. 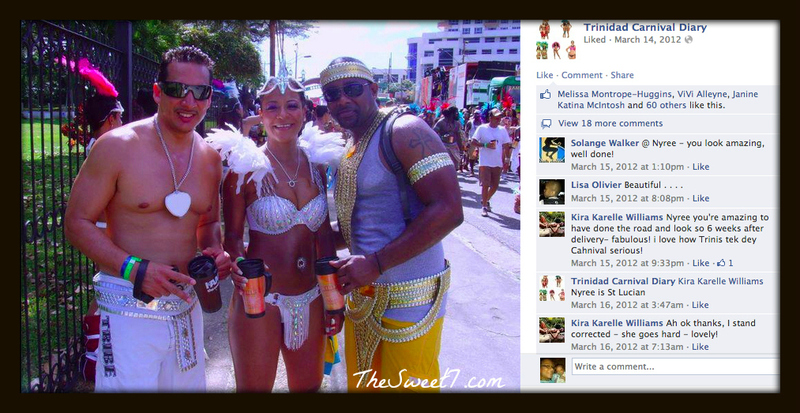 A befitting carnival body requires exercise and clean eating discipline. While my body preparation for Trinidad Carnival 2011 followed these two stringently, my 2012 post-baby body was noncommittal to clean eating. I was breast-feeding and craved comfort food. My diet consisted of fats and copious carbohydrates. Diet NO-NOs for 'the perfect carnival body' elitists. My deal (with self) was even if I ate whatever I pleased, I must work out to offset any further weight gain. A give and take of sorts, "having my cake and *eating* it too!" Thanks to advice from my mom, I only gained 30 pounds while pregnant with both of my children. In addition to my devil's advocate chatter above, there is truly no reason to add basically another person to your body frame, other than a ten pound baby. By the time I naturally popped out both my babies, I was left with 10 pounds to lose from the 30 pounds gained on both occasions. After I had my daughter in late 2006, by February 2008, my pre-baby figure was returning. 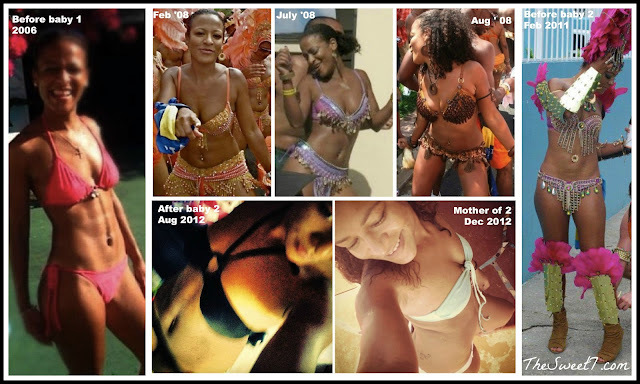 Eight weeks after delivering my son, by the time I got to Trinidad Carnival 2012, I had only ten more pounds to lose to be my pre-baby weight. He's now sixteen months, and I have 15 pounds to lose. Notice I said 'have' because I am NOT 'fighting' to lose it either. A five-pound weight gain over a year is nothing in my books! Truth be told, I have no desire to work out, but I certainly watch what I eat while not stringent. My husband has teased, "You like to work out under pressure. And pressure being little time!" I will admit there's no carrot dangling that warrants me to burn off the last 15 excess pounds. While pregnant, watch your diet. Do not pig out and use pregnancy as a crutch to develop bad eating habits. Consider the life long eating habits you're passing unto to your baby. Load up on your fresh fruits, vegetables and drink plenty water. Be aware of your metabolism as you age too. Consult your doctor and figure out what is in your (and your child's) best interest. I am uncertain if this is a myth that breast-feeding will slim you down. 'Though I can hear my mom say, "it will tighten your stomach muscles." LOL! Neither am I certain, but I will admit menstrual cramp-like pain when I breast-fed during the first few days after delivery. I was told depending on one's body and the length of time one breast-feeds, a menstrual cycle is non-existent. And I will confirm that it was "gone with the wind fabulous" without a monthly visit from Aunt Flo. Maybe the majority of our extra body weight comes from our "McTatas", comically nicknamed by a friend. A question posed to me after Trinidad Carnival was "How did you manage during carnival while lactating?" Since my kids were left in Saint Lucia with my parents, I was unable to breast-feed my son. My son survived on formula. Fortunately both my kids were breast and formula fed from early. Engorged breasts are swollen, lumpy, uncomfortable and the most painful things imaginable if not relieved. So 'phuck yo carnival essentials', in my luggage was my breast pump. Before every fete, Carnival Monday & Tuesday, I pumped and dumped. Maternity clothing nowadays is trendy and tends to be a little pricier than usual women's clothing. Some women bobble around happily pregnant, "I HATE BEING PREGNANT." As I expanded, I was not going to allow my clothes to expand too. So I have never worn maternity clothes. I wore clothes from my closet, jeans included. Easy slip-ons like maxi dresses, skirts, empire waists. Everything 'un-Kim-K-like". Generally nothing tight, basically flowing. Clothes that allowed me room to breathe and not too tight to squeeze the baby. LOL! In my first pregnancy, I wore jeans a lot. Gradually as my hips and belly expended, my jeans no longer could zip and buckle. So I would leave my pants unzipped. Simply covering up by wearing shirts and blouses that extended beyond the zip area. Even though maternity pregnancy bellybands exist, I wanted no semblance in my wardrobe to indicate that I was pregnant. My thinking "why spend money for a 9 month pregnancy - temporary fashion fix?" I did purchase jeans at least two sizes bigger than my regular size. With my second pregnancy, I discovered leggings and fell in love! Best idea ever! They just took my shape and gave me room to expand. LOL! BTW buy affordable bras: While I despised my expanding pregnancy waistline, I appreciated my bosoms. Since I did not spend money on temporary fashion fixes, I was pleasantly happy with affordable Maidenform bras from Ross. My once six pack abdominals were non-existent, after my first pregnancy. To feel tight, I wore spanx for a while which allowed me to fit into my regular sized jeans and hide my post-baby tummy rolls. Spanx gave me the freedom to wear tight fitting dresses too. I swore that a second child would result in double Spanx. It's been 16 months since the birth of my second child and I am yet to put on a pair of Spanx. Even Jessica Alba double spanx'd after her pregnancies. Don't allow yourself to get lazy. Do not just accept the weight gain and give up on yourself, especially since our metabolisms slow down with age. While a newborn is rather needy, find at least 15 minutes for some physical activity. Be aware of the on-the-go diet. While I had pressure to get in decent shape for Trinidad Carnival, after the birth of my son in in a very short space of time, I bounced back quickly. Yet, I am still not at my pre-baby weight. With my daughter's birth in 2006, it was not until the summer of 2008 that I made the effort to get to my pre-baby weight. 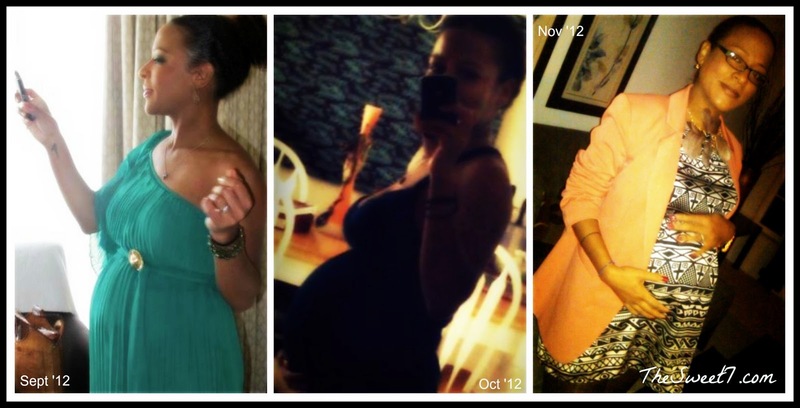 That summer, I made a conscious decision to fight off the last 10 pounds from that pregnancy. Be realistic too, you're no longer 19! Realize it's time to appreciate and simply tone the body of now!